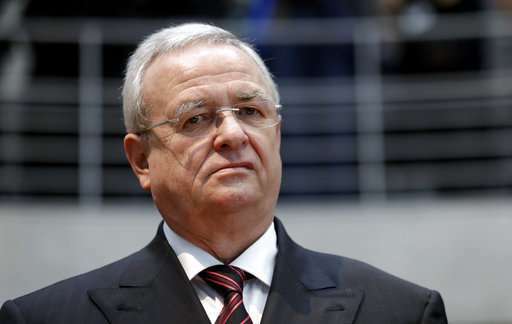 A VW spokesman says the German automaker's supervisory board is checking whether it can demand damage claims from former VW CEO Martin Winterkorn in connection with the company's diesel emissions cheating scandal. Michael Brendel tells German news agency dpa "the investigation has been going on for quite some while and is conducted independently from the authorities' investigation." German newspaper Frankfurter Allgemeine Sonntagszeitung reported Sunday that Winterkorn could lose his property in connection with the company's investigation. Winterkorn, 70, was indicted Thursday in the United States on charges stemming from the company's diesel emissions cheating scandal. Winterkorn has denied any knowledge of the scheme.